It was the last day of the extended Easter weekend. I was planning on frozen pizza, FIFA 14 and loads of sleep before work week starts. 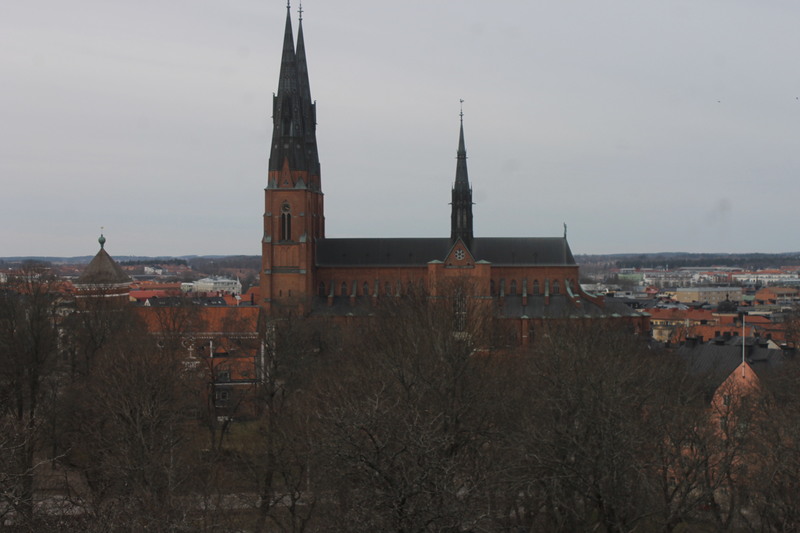 However, that was not to be and I ended up spending the day walking around in Uppsala. 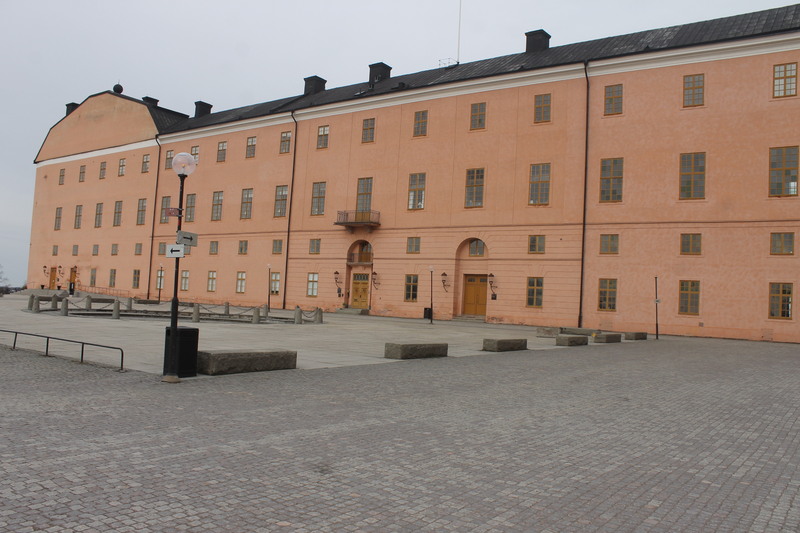 The fourth largest city in Sweden (population of approx. 140 000), it is only an hour train ride from Stockholm Central Station (costs 81 SEK*). 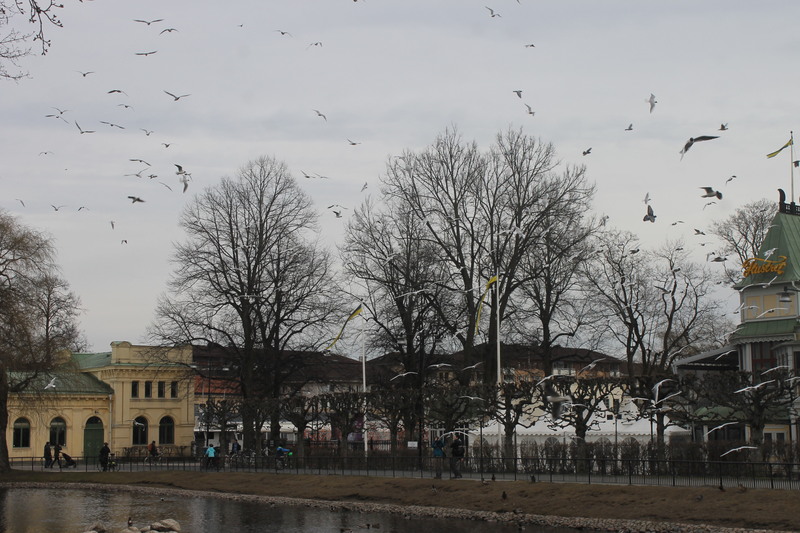 Plus, it was a chance to try out my photography skills with a Canon 1100D. 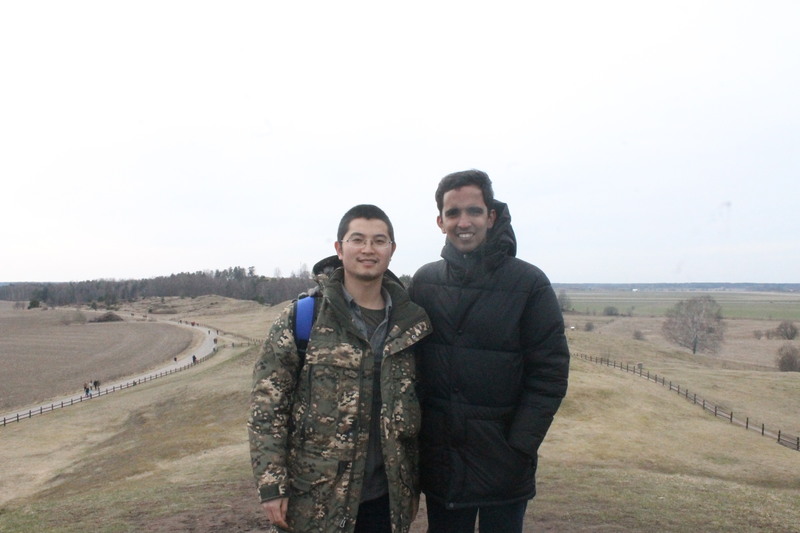 I reached Uppsala at about 1130 and met up with a friend. 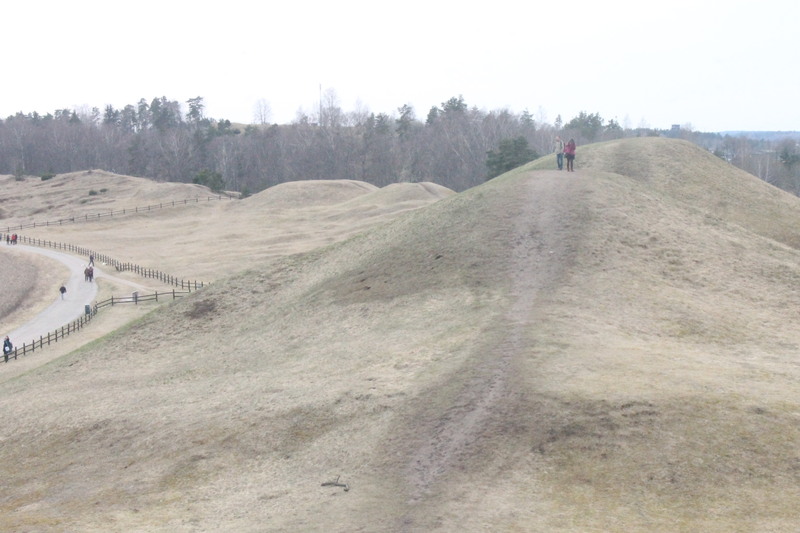 We had lunch and set out to visit Gamla Uppsala. It was a major political and cultural center in early 3rd century AD and was the hometown of Yngling Dynasty – the oldest Scandinavian dynasty. All it took was a bus ride of 20 minutes (35 SEK) to reach from Uppsala Central Station. The first thing you notice as you get out of the bus are three big mounds with few smaller ones spaced closely. 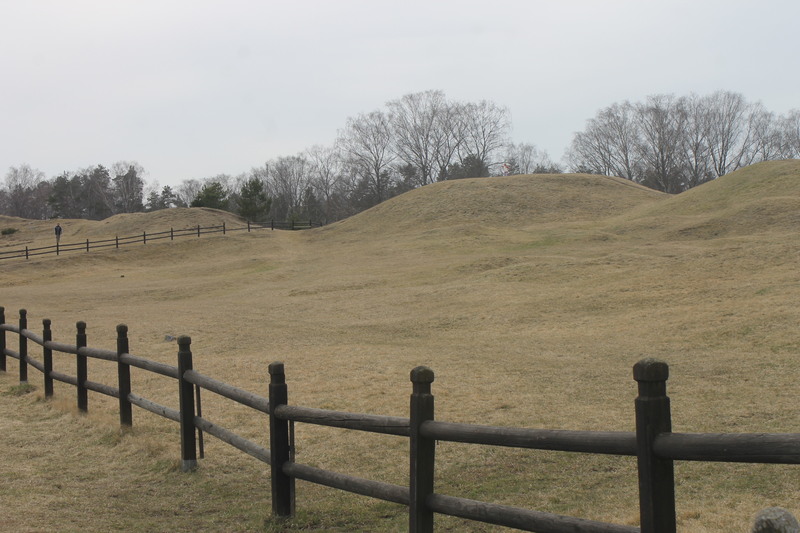 These are the Royal Mounds. According to Norse mythology, they represent the three gods: Thor, Odin and Freyr. Excavations carried out in late 1800’s revealed that they were actually burial spots from 5th – 7th Century AD. 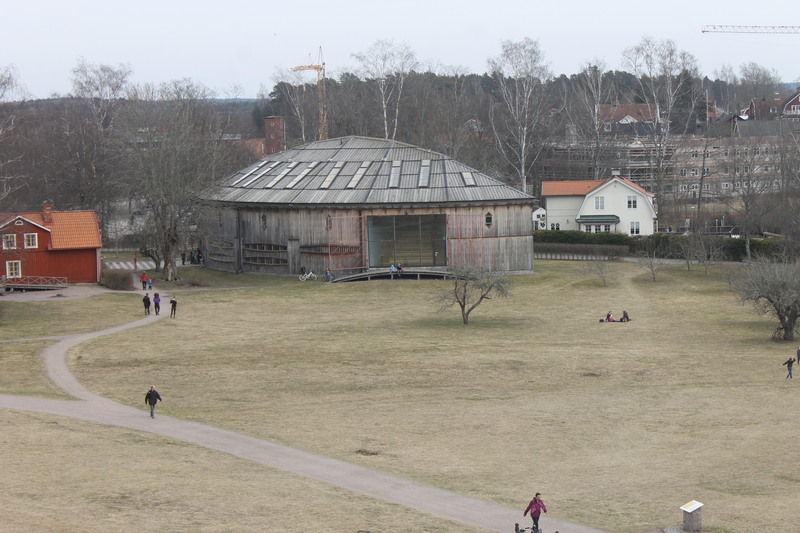 Initially, we visited the Gamla Uppsala museum. It had a decent collection of artifacts, souvenirs and literature on the history of the village. 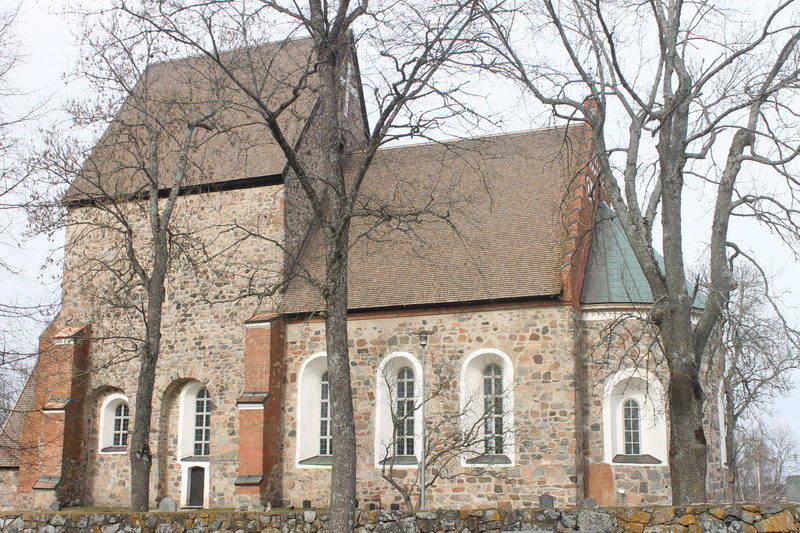 Just beside the museum is the Gamla Uppsala church which had a long history of its own. 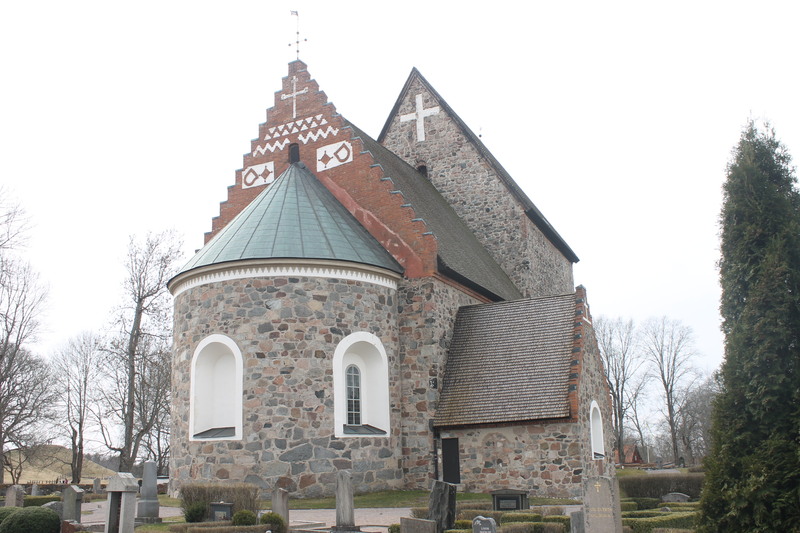 Parts of the cathedral were constructed as early as 11th Century AD. After walking around the graveyards, we then visited the mounds. 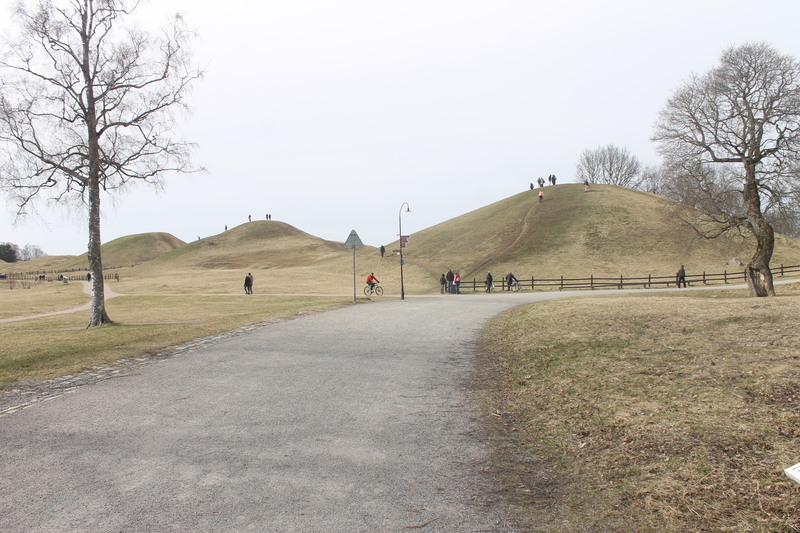 People are allowed to climb them and after roaming around for a while, we took the bus back to Uppsala. 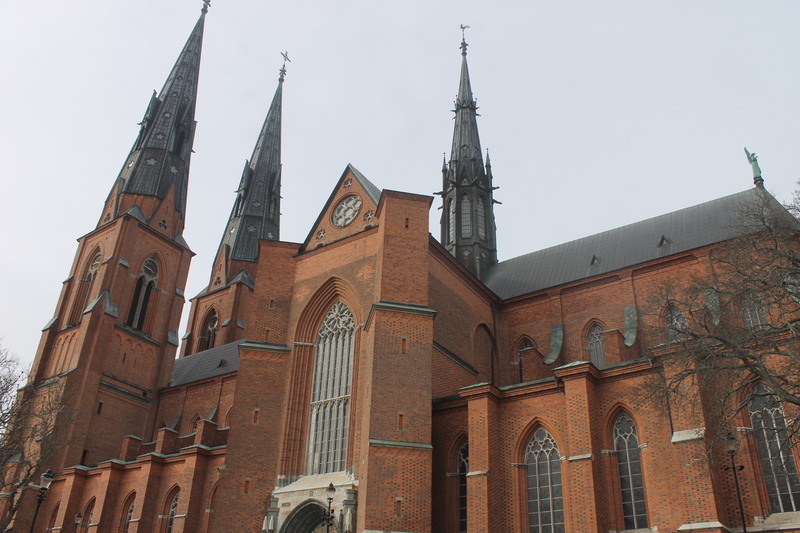 After a quick cup of coffee in the city center, we walked to the Uppsala Cathedral. 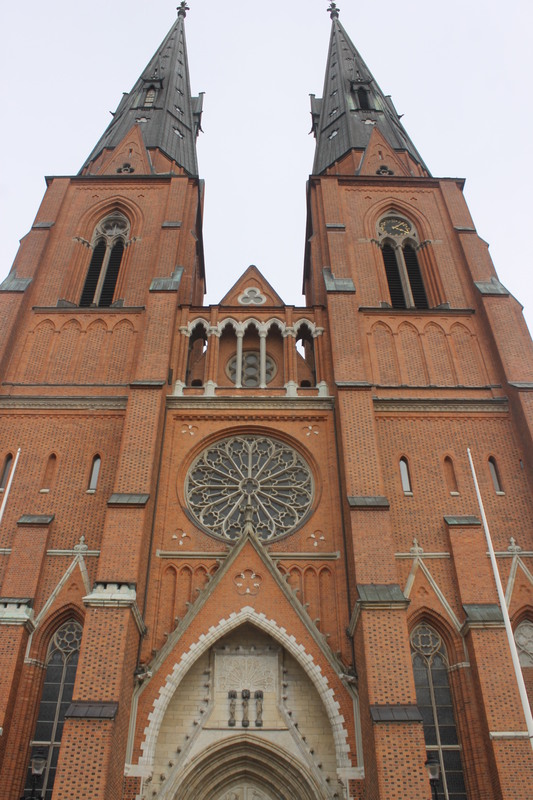 It was an impressive structure and is the tallest church in Scandinavia (Source). Once inside, the paintings on the ceiling and the beautiful stained glass windows are a sight to behold. 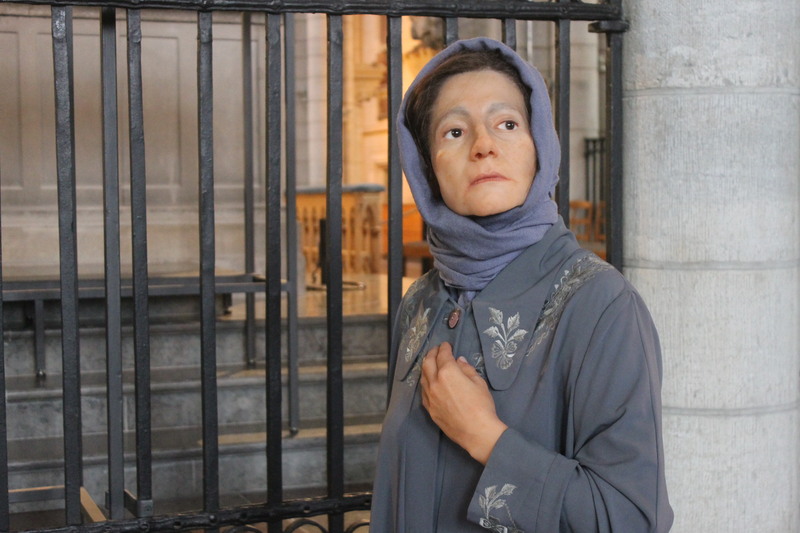 So, I wasn’t that surprised when I came across a woman, shrouded in blue cloth, standing behind the main altar and gazing at the windows. 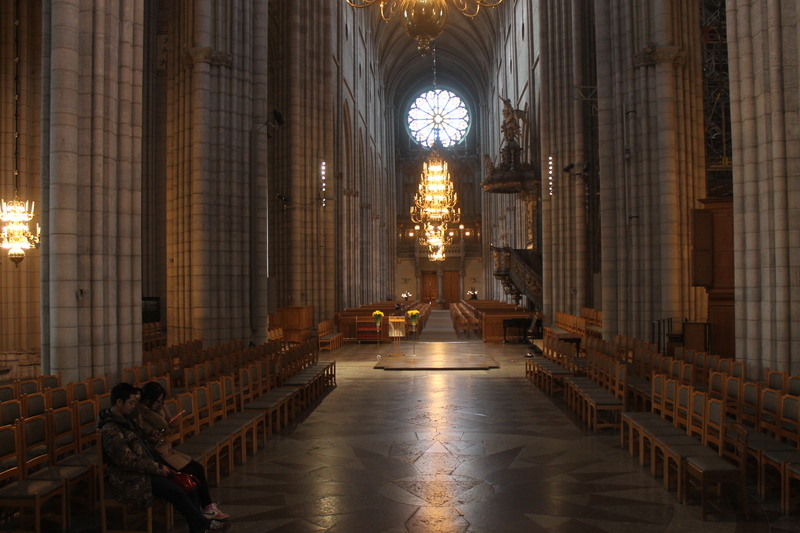 After a quick smile, I walked to the tomb of King Gustav Vasa. After walking around the tomb, imagine my surprise when I saw the woman in the same position gazing at the same direction without moving. As by now you would have guessed, she was a wax figure. On closer inspection of the plaque, it was of ‘Virgin Mary’. Exiting the church, we walked left towards the castle on top of a hill. As it was Easter Monday, the castle closed early. So we walked around, taking pictures of the castle and the castle gardens a few meters away. By then it was already 5 pm and getting dark and cloudy. 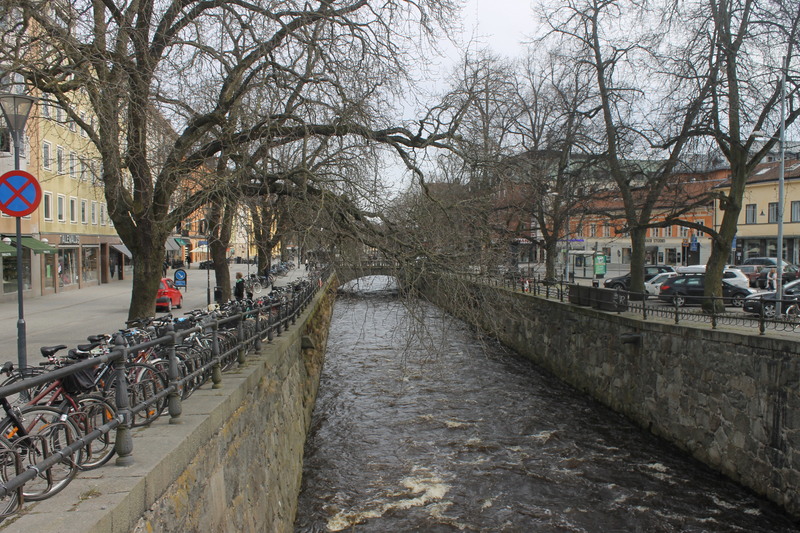 We slowly made our way to the Stadsgården and finally to the train station. Overall, a relaxed day trip which I would definitely recommend to everyone.